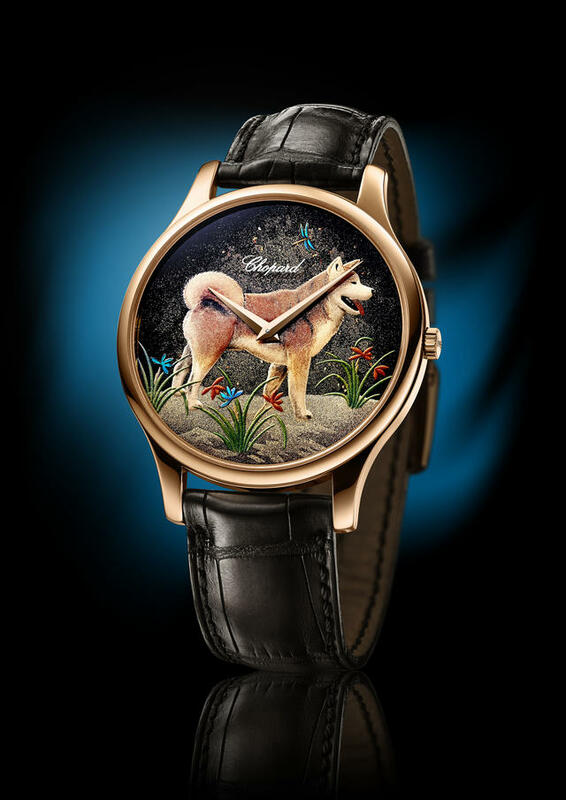 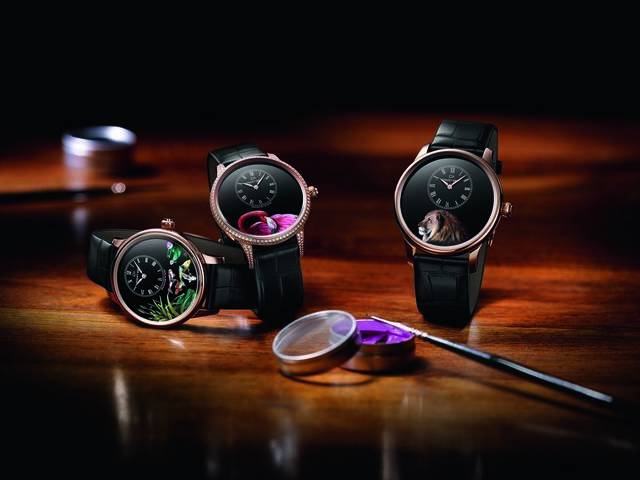 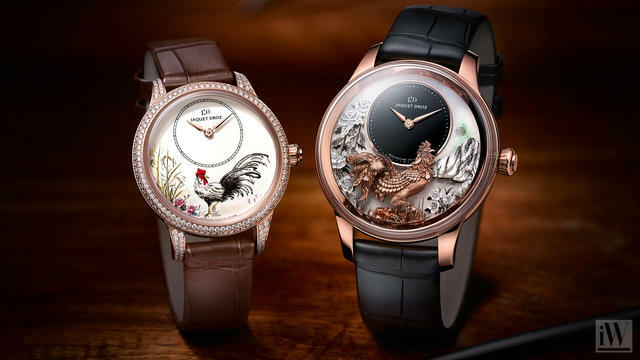 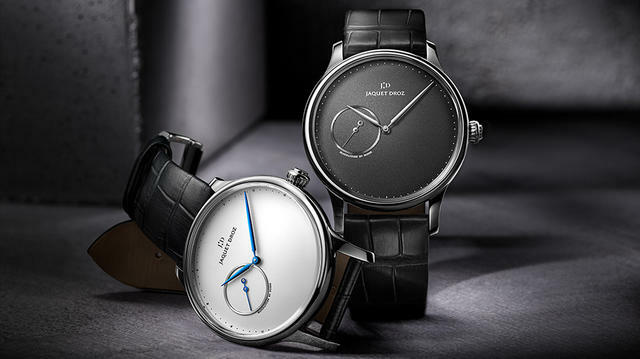 Pierre Jaquet-Droz was born in 1721 on a small farm (La Ferme de Sur le Pont) in La Chaux-de-Fonds. 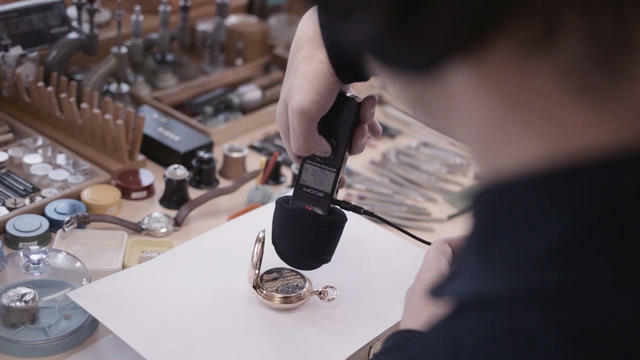 He began to take a serious interest in clockmaking and precision mechanics under the tutelage of older relatives from the Brandt-di-Grieurin, Sandoz and Robert families. 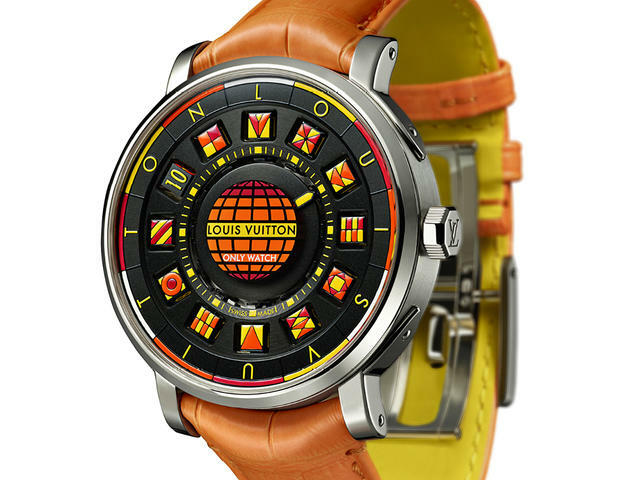 It proved to be a true revelation for him. 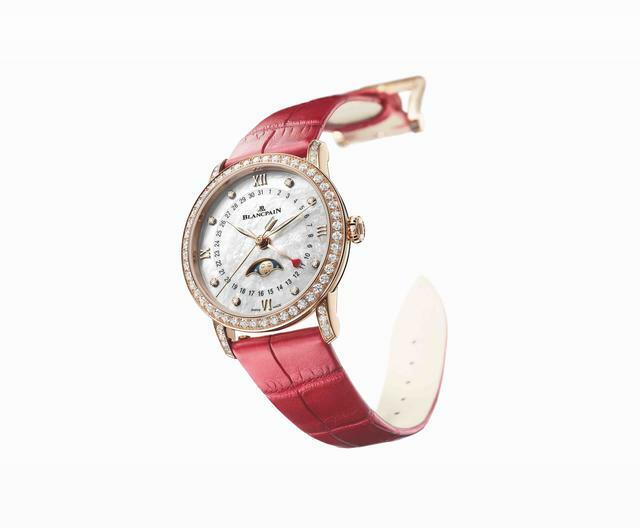 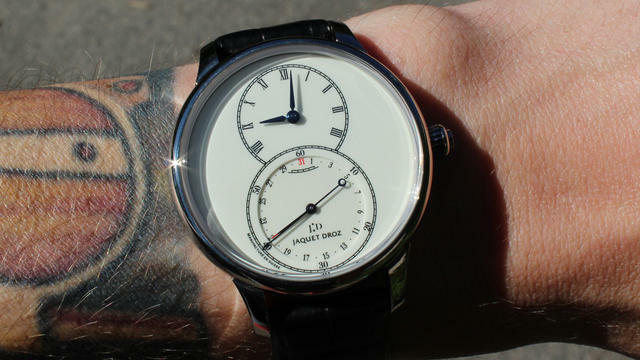 Justin Mastine-Frost reviews the Jaquet Droz Grande Seconde Quantieme Ivory Enamel. 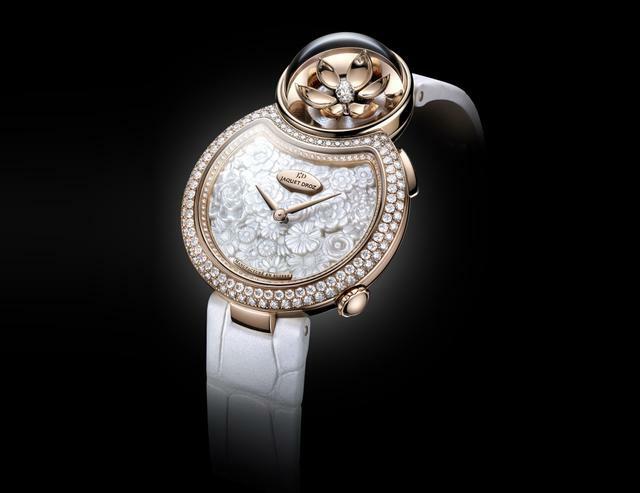 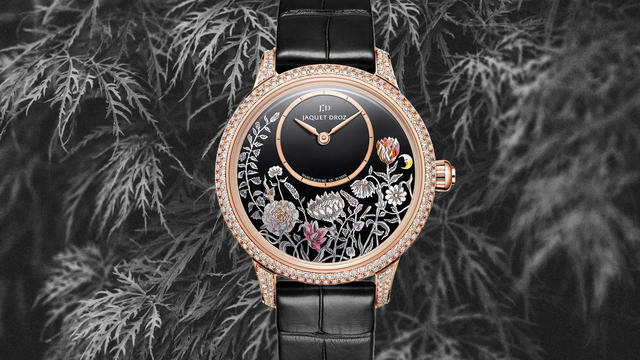 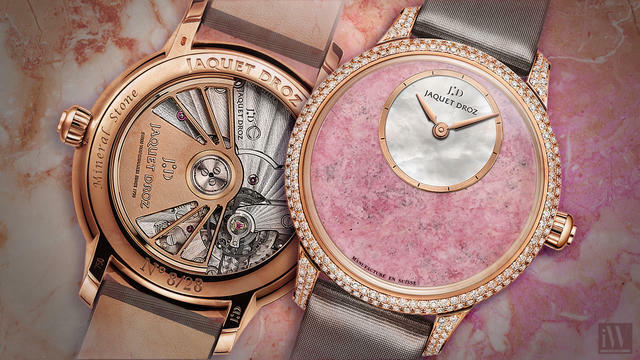 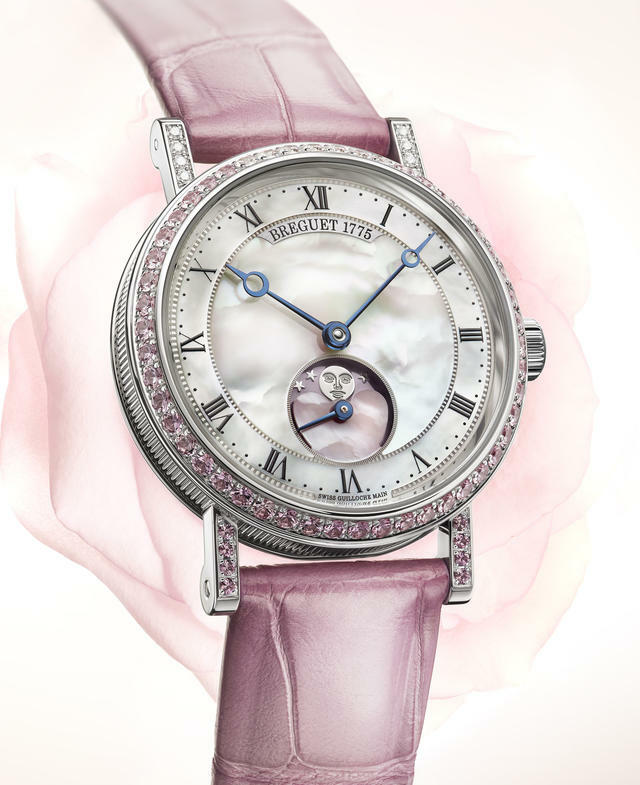 iW Magazine's Watch of the Day is the Jaquet Droz Petite Heure Minute Thousand Year Lights.